Then, Dre announced the biggest deal of his life. 19. Then, Dre announced the biggest deal of his life. News broke earlier this month that Apple is set to buy Beats Electronics for an incomprehensible $3.2 billion. Dre released a video calling himself 'hip-hops first billionaire.' 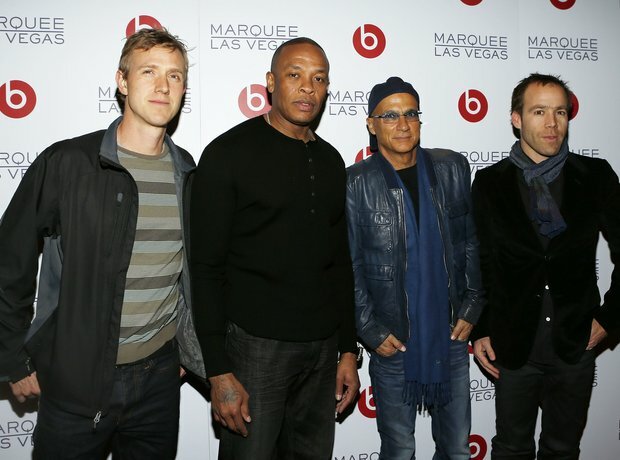 Here Dre's pictured with (on his right) Jimmy Iovine, Beats Electronics CEO & Co-Founder, and Luke Wood, President & COO of Beats Electronics.